Daniel Ricciardo says there's a 50 per cent chance he'll tackle the Bathurst 1000 once his Formula 1 career is over. 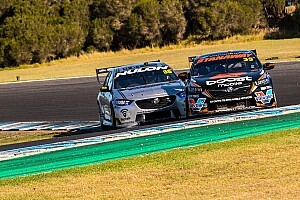 The Renault driver sampled Rick Kelly's Nissan Altima Supercar during his exhausting promotional schedule ahead of the Australian Grand Prix, cutting a handful of laps at Calder on the outskirts of Melbourne. While it was his first drive of a proper race-ready Supercar, the Aussie F1 ace equipped himself well in the 600-horsepower touring car, despite admitting he went into the experience a little nervous about how he would fare. Having passed that first test with flying colours, Ricciardo is now refusing to rule out actually racing a Supercar in the future. He says the Bathurst 1000 is on his radar, and while he's often considered a clean break from racing when he's done with F1, there's a 50 per cent chance he could tackle Mount Panorama later in his career. 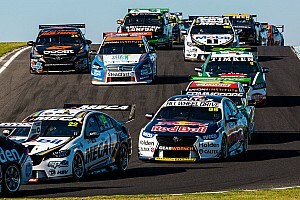 "I got asked not long ago 'after F1 would you want to do some races, do something else like V8s or NASCAR or Le Mans? 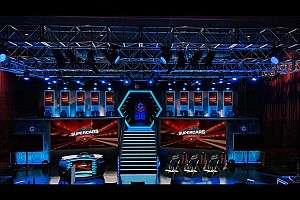 '," he said when quizzed on a Bathurst drive by Motorsport.com. 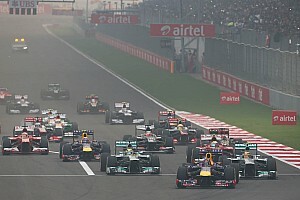 "When I first got into F1 a few years ago, I was like 'yeah, that'd be awesome, I'd love to'. But the more years I do this, it kind of wears you out. And I thought 'once I'm done, I think I'll be done'. "I'm probably kidding myself, because driving [the Supercar], it would be pretty cool [to race at Bathurst]. "I'll never say never. I'd give it a good 50-50 at the moment." Having sat next to Ricciardo for a few of his Calder laps, Kelly said he'd happily have the Renault driver as his Bathurst partner – although joked he'd probably have to relinquish primary driver duties. "To see the way he got in, went out, and then he stepped it up every single lap, just crept up on the brake markers and changed his inputs to improve every single lap... I mean, that’s why he’s the champion he is, and for me to sit next to him in the car and witness that firsthand was pretty special,"
"It’d be pretty special to have that name on the car for October, but it wouldn’t be Dan co-driving with me, it’d be me co-driving with Dan." 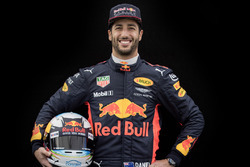 Ricciardo is the second high-profile open-wheeler star to be linked to a Bathurst start in the last week, following news that Walkinshaw Andretti United is considering a Wildcard entry for Fernando Alonso.